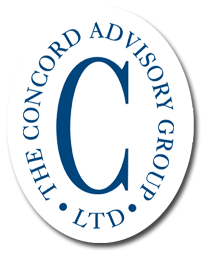 The Concord Advisory Group, Ltd. provides religious based not-for-profits with investment consulting services directly related to operating, retirement, trust, and other mission based portfolios. Concord is uniquely experienced in guiding leadership and finance teams in the process of maximizing portfolio performance while ensuring social objectives / guidelines are met. Concord’s long tenure with our religious clients is evidence of our understanding of congregational and diocesan operations. Our unique skills in understanding the SRI community, and demographic challenges are some of the factors that separate Concord from its peers. The Concord Advisory Group Ltd. has been providing financial solutions to religious-based not-for-profits for over 25 years. Concord has decades of experience assisting leadership teams and finance councils in the stewardship of their organization’s assets. Our dedicated service team model, made up of seasoned and experienced consultants, provides expert guidance in balancing the increasing need for investment income with mission-based guidelines.